Filmora Scrn is the best partner to help you capture Minecraft. This lightweight screen recorder tool works perfectly on Windows environment and can provide high quality results for all video recording needs. Users can also make customized selection for recording any particular area from device screen. Bandicam assists game recording with much higher compression ratio and the content quality stays equivalent to original work. It offers customized recording facilities where users can make selections for recording specific area of screen. Outline your video as well as screenshots with real time service. Users can also add webcam overlay to video recording. It is possible to merge your own audio voice into recorded videos. Personalize your video with logos. Several mouse effects to support animation feature. Step 1: First of all you need to choose the ‘Game Recording’ mode in order to tune to high quality video. Step 2: Now choose Minecraft on your device. Step 3: Make adjustments for frame rating using FPS tab of Bandicam and it will be displayed on your device screen in green color. Step 4: Hit F12 or use Record button to initiate recording process. Step 5: As soon as recording starts, the numbers displayed in green color will immediately turn to red. Step 6: When you want to stop recording then simply hit the F12 again from your keyboard or click again on the record button. Step 7: It will save your recorded video on device and then you can watch it again by hitting the Open button available on General tab of Bandicam. This free to use open source video recording software tool allows high quality video recording along with impressive live streaming services. OBS works perfectly with Linux, Mac and Windows. It supports so many custom transitions with easy to use color keying, color correction and image masking filters. Real time audio and video mixing facility with high quality recording facilities. Wide range of custom transitions. Classic filters for color correction, keying and image masking needs. Impressive audio mixing services with pre source filters that work for gain, noise suppression and gain. Collection of dark and light themes for unique results. 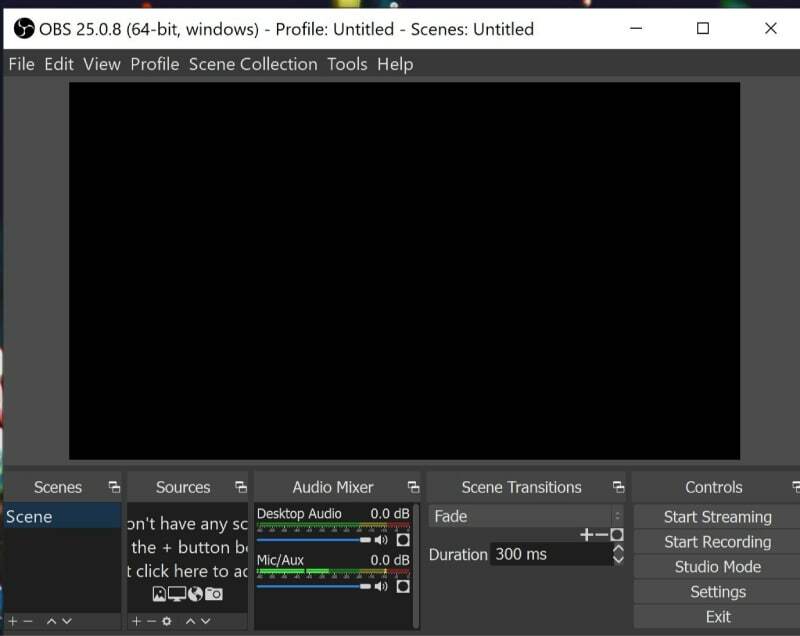 Step 1: Get OBS screen recorder tool installed on your system and then launch it. Step 2: Go to settings and choose option for average quality along with small file size. Step 3: Go to broadcast settings and then choose file output only mode for recording. Step 4: You can also define hotkeys for easy start and stop functionality. Step 5: If you want to add text and images to your recordings then simply right click on source area and select game capture option. Step 6: Now open Minecraft and then choose it from application list. Start playing in full screen mode. Apple poses restrictions on most of the screen recorder applications but you can still find a solution to get your games recorded with high quality results. Apowersoft iPhone/iPad recorder is best tool for all your game capture needs and it works perfectly on Mac and Window devices. Recorded videos can be saved in popular file formats like AVI, WMV and MP4 etc. Step 1: Get your software tool downloaded on the personal computer. Step 2: Choose your output folder. Step 3: Now you need to connect your device as well as computer with same WIFI network. Step 4: Switch to AirPlay Mirroring by simply swiping in upward direction from bottom of iOS device. Step 5: Just start your game that you want to record and hit the record button available in red color on top portion of screen. Step 6: When game finishes, hit the stop button and your video will be saved to desired output folder. As soon as you have finished your recording process then you can view your recorded videos from file location that you have set earlier. You will be happy to hear that this application can record game videos with smooth frame appearances and it don’t even need jailbreak to execute its processes. This software program is designed for android users but you will be glad to know that it is not required to root Android device to work with AZ Screen recorder. You can capture smooth videos with crisp details using this interactive software tool and it also allows users to capture screenshots. When you install it on your device, move to settings and adjust them as per your recording needs. This tool can definitely provide your good quality results for MineCraft PE recording. Can record videos as well as captured screen shots. This iOS specific application ensures classic results for recording on iPad, iPhone and as well as for general screen recording needs. It can assist users to record games with easy and quick adjustment of settings. This application is designed with straightforward settings and users can have complete control on their recordings. It also allows streaming on Shou.tv. But sad part is that you cannot download this application from Apple App Store rather you need to switch to EMU4ios store to get it downloaded. The only trouble with this application is that it shows an annoying red bar on the top of screen during recording. Allows general purpose screen recording too. Quick adjustment for settings can be done. Valuable information. Thanks for the sharing. I always use Acethinker Screen Recorder to capture minecraft gameplay for my YouTube channel, It is a free online tool that lets you record your screen right from the browser. Share it here as an alternative to OBS.